Isn't there some regulatory body that looks at such "businesses"? Yes, the FDA, but it's power is very limited - and the company here (PedBio) has carefully managed their test so that they will not need FDA approval. Mr. Salzberg's column is quite unfair to Judy Van de Water I think. First of all, he implies she, or Pediatric Bioscience, claim to have found "the" cause for autism, and can give you a test for it. 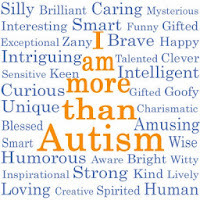 If you know anything about autism you know there are many causes and no one at MIND ever said any different. Dr. Van de Water's latest most publicized finding concerns around 1/4 of cases. From that alone it's certain she's not claiming to find all cases with her test. I do not disagree with the idea that a large longitudinal study is desirable, and personally seems to me I would not feel a need to get this test if I was only a woman over 30, but if I had an autistic child already I would want to know about the maternal antibody risk factor. By the way, there is also an implication Dr. Van de Water and Pediatric Bioscience are off on their own with no corroboration of this theory from other researchers. This is not at all true. And I have to think Dr. Salzberg must know that, since some of the confirming studies come from Johns Hopkins and Kennedy Krieger, right next to Hopkins in Baltimore where Salzberg works. Granted those researchers are not parties to the commercial test, but if he's going to trash Judy Van de Water maybe he should throw some dirt at people he has to work with too. I am very aware there are many people hawking unproven medicine related to autism, some who fooled themselves, some who are probably just crooks, but there is no basis for accusing Dr. Van de Water of that. I don't know why you are defending Dr. Van de Water, but I stand by my comments. She is deeply involved with Pediatric Biosciences and is their Chief Scientific Advisor. Their website makes a number of extremely strong, unproven claims that go far, far beyond what her own work or anyone else's has demonstrated. They are pushing the test for "women prior to becoming pregnant as a family planning tool, or immediately after giving birth to allow early behavioral intervention for the newborn" (this is from their website, as of today), and neither of those groups were studied in her work. She only looked at women 2 years or more after their children were born. The home page of PedBio still says that their test has "100% accuracy" despite the complete lack of any published (or public) evidence that this is true. So yes, Dr. Van de Water is hawking unproven medicine. To answer your question, I am defending Judy Van de Water because my son was in her studies and I trust her and the other folks up at MIND Institute, but I also try to be objective, and want to deal with the objective issue you raise. I hope you can reply in kind and answer my questions. First, important to note as I already did on your Forbes column, this is NOT medicine. Obviously it's closely related to medicine and should be subject to SOME of the same ethical limitations, but not ALL, because it's only a test to find out if a person is likely to have an autistic child. It does not offer treatment or any promise of detecting all cases of autism before birth. In fact to the contrary, everyone who has followed this knows Dr. Van de Water's well publicized finding is around 25% of cases are tied to some unusual antibody pattern in the mothers -- meaning this test will have no bearing at all on 75% of cases. Another thing I think I should dispute. You say PedBio's claims the test is "100% accurate", "despite the complete lack of any published (or public) evidence that this is true". I am not sure how to interpret your statement. I've seen several studies on PubMed by Dr. Van de Water which seemed to state unambiguously that she found certain antibodies ONLY in mothers of autistic children. Do you dispute those in some way? I think you can dispute the inference that the antibodies are present before birth, and causative of autism, but saying ""complete lack of any published evidence" is way overstating the case and leaving a casual reader with the strong impression she is making entirely baseless claims, which is certainly not true, as I pointed out on Forbes, several researchers and Hopkins and KKI have found similar you could walk down the block and ask them about this. As a scientist, Van de Water knows (and I know) that the claim of 100% accuracy is baseless. Finding certain combinations of antibodies only in one cohort of women - several years after being pregnant - doesn't provide any evidence that these antibodies can be used to predict autism in a pregnant mother. Not even close. This is perhaps a more technical scientific point, but Van de Water should understand it well (and if she doesn't, that's a bigger problem). Her studies merely suggest a hypothesis, that must be investigated with a prospective study before one can say any more. Several statisticians have strongly criticized her "data dredging" methodology, where she has looked long and hard in mothers for something that does not appear in mothers without autistic children. She has know way of knowing if what she found can serve as a predictive marker. The 100% claim would be astonishing if it held up. I seriously doubt that it will, but if Van de Water does the right studies, she can find out. Meanwhile she is hawking an expensive "diagnostic" test that doesn't diagnose anything. And yes, I do know researchers at Hopkins and KKI working on autism, and I think they would agree with my assessment. I've spoken directly with one biostatistician whose views were the same as mine. I appreciate your explanation and I think I fully understand it but I do not see any reason to think Dr. Van de Water is trying to deceive anyone as you claim. It might be important to point out the "antibody test" is not yet produced and does not appear to be a test of one antibody, and the last findings I know of, many antibodies were linked to autism but only certain combinations of antibodies (which at that time were designated only by molecular weight and the antigens were unknown or at least unpublished) were tied to autism 100%. Perhaps having heard this years back, (it's in her papers as well to be clear) when I read PedBio's web page I interpret the statements as a claim that those certain antibody combinations, not ALL antibody combinations or individual antibodies, are 99% correlated with autism. I will go back and look at the website, but the way I read it the last time I looked, that was the way I took it. Can I ask you, having looked at all the studies, or at least abstracts, published by Dr. Van de Water and others on this subject, was there a problem with saying that some antibody combinations (37 and 73kdw in one paper a few years back) is highly tied, maybe 100% to autism? Would it be wrong to say that combination, which I assume will be PART of the test, can be so closely tied to autism that it's worth testing for? I understand hucksterism is a constant danger in autism but iif the finding that about 12% of MCAD (Mothers of Children with Autistic Disorder) have that antibody combination, and it's almost never found in mothers of non autistic kids, well, that does not prove it's causative and it does not prove definitely the antibodies were present before pregnancy but I'd sure want to know if I'd had one autistic child. It would seem like the chances are about 12% I had the antibody combo and that the combo causes autism. Maybe it's not a gold standard without a long term longitudinal study as you suggest. but for $800 I would very much want to know my antibody status. Basically, to boil this down, if you've had a kid with autism, and the research showing the 37/73 combo is found only in moms of autistic kids is valid, and that it's found in more than 10% of them, then it's well worth $800 to find out your status. I am going to read the Pedbio web page again but that is the way I've always interpreted it. Alas, I fear she has you fooled. None of these antibodies are 100% tied to autism. They may have no causal link at all. For example, supposed I measured a stress-related feature, say headaches, in mothers of autistic children, and found that they had more. Then I picked another feature, say brown eyes. Then another, let's say allergies to cats. Then I found that 12% of mothers in my data set had more frequent headaches *and* brown eyes *and* cat allergies. This doesn't mean that this combination is tied to autism, because I did all the selection of features after the fact. If I pick enough features (read: antibodies), then I'm sure to find some with a strong correlation to anything I like. We know how to resolve this question: measure the features ahead of time, and then see what % of children have autism. Until that's been done, it is just plain bad science - and extremely irresponsible - to claim that this test of 8 antibodies can predict the likelihood of having an autistic child. And claiming 100% accuracy is outrageous. Honestly it seems to me you have badly distorted what was said on the PedBio website. Please bring the quotes here, in context, to be analyzed. I think I explained it all pretty well in my previous post. They did seem to say some antibody combinations are common in autism and very rare or unknown outside it. So, for example, the 37/73 combo is found in only 1% or less of mothers with no autistic child. That is probably the confusion but really please bring the website here, if I had seen them saying that I would have been alarmed and probably emailed them about it. I think you've gone off half cocked here with this accusation. 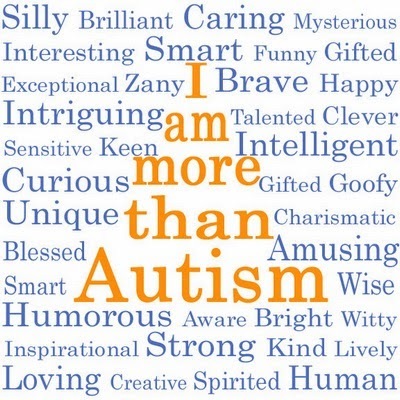 1.Any correlation between autism and these traits in small samples would probably not hold up in a large sample size. They used fairly large samples. 2. The rarity of the antibody traits in the control sample was much greater than any of these traits would be. I know that's not your point, but the public reading this will tend to take it that way. 3. If you find a correlation between say headaches in the mother and autism, you've got to explain why. If these antibodies attack antigens important in brain development, as Dr. Van de Water claims to have found they do, that objection is taken over. As for looking at correlations after the fact, I kind of understand that not being the gold standard but they have done animal studies on this. Did you really think about the ethics and difficulties of doing a prospective study? First off, a lot of money, secondly, is it ethical to not tell the mothers who have the antibodies that fact, when you so strongly suspect it's causative? Can you keep your sample if you do tell them? You act like it's a cover up, and I don't know what Dr. Van de Water and Braunschweig would say about it but seems like it's a big project. They have done animal studies finding both behavioral and brain anatomy abnormalities in the fetae exposed to the antibodies in utero. Seems fair to mention that before you accuse them of not caring to try to verify their work. Mr. White, is anything going to induce you to give up a notion you have become wedded to? You are defending something you WANT to believe in the face of carefully explained criticism. This is the difference between good science and well, not-so-good science. I won't accuse anyone of outright quackery here, but it would seem that someone is out to make a buck without adequate science preceding her.